1. Select a show from under the "Display Chart For" heading. 2. The show's most recent season will be displayed under it, but there may be others to choose from. 3. You can also select a second show for comparison under the "Compare with" heading. 4. Click the "Get Chart" button to display the chart for the selected shows. 5. 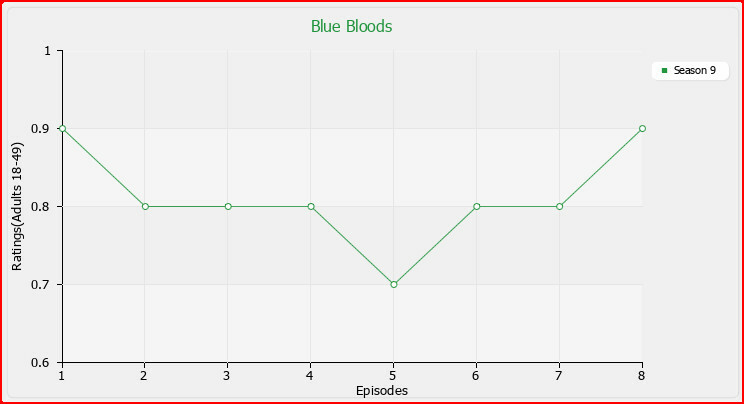 Hover your mouse over points on the chart to see each episode's rating and air date. Tip: Comparing charts is most useful if you select shows from similar timeslots and genres.